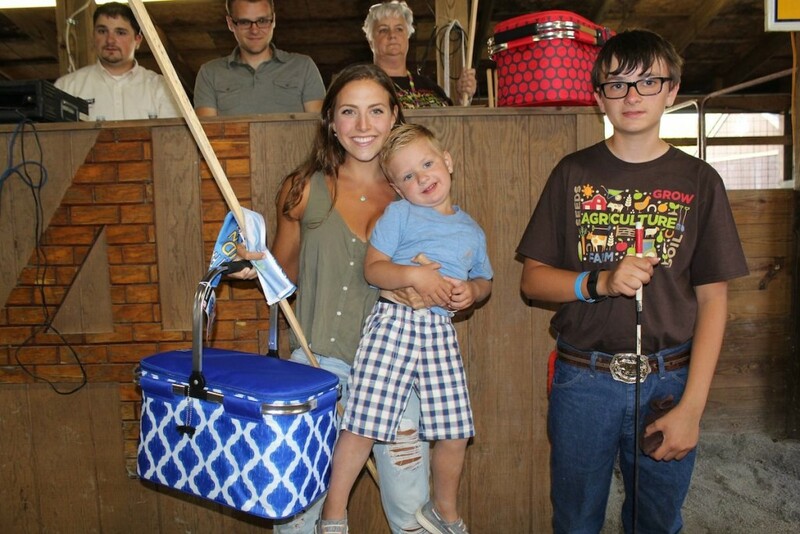 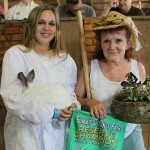 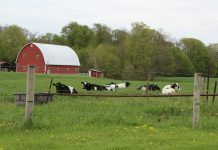 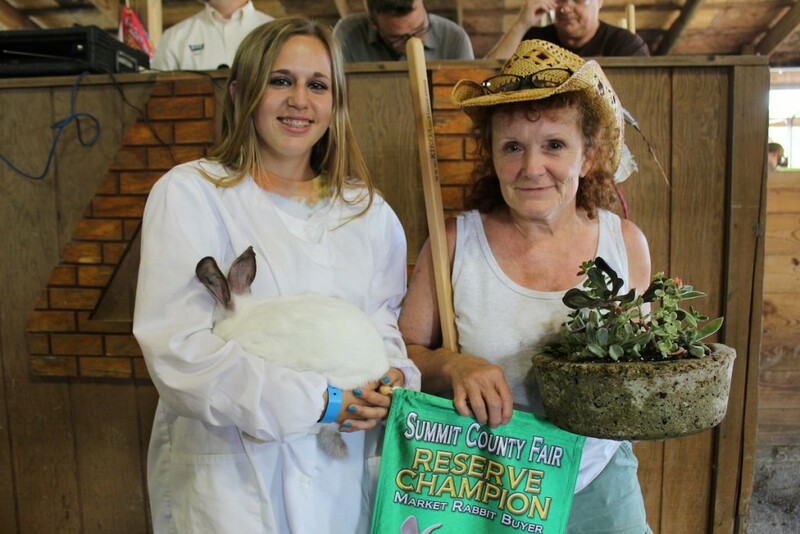 Ashley Robertson sold her reserve champion rabbit for $200 to Marilyn MolchanWotowiec, for Brothers Construction of Cuyahoga Falls. 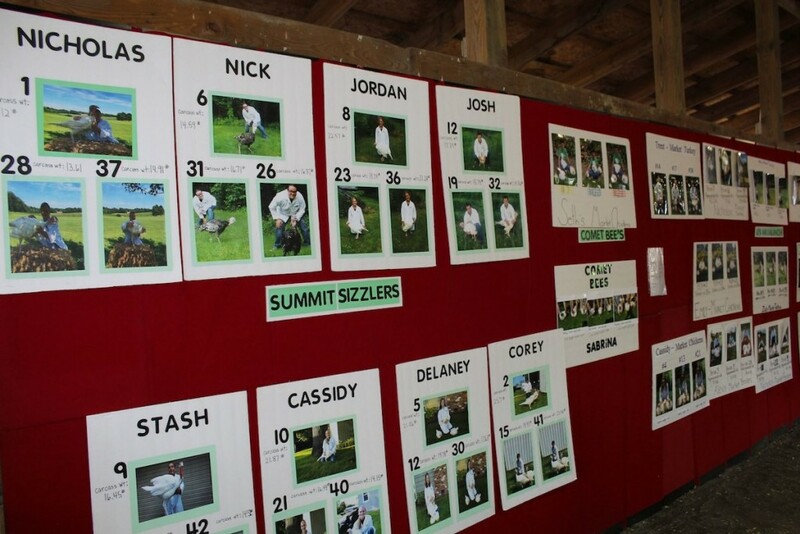 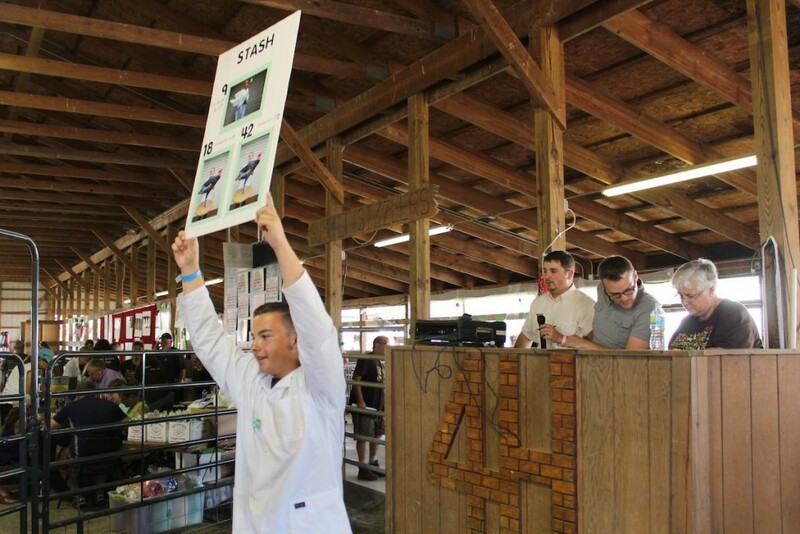 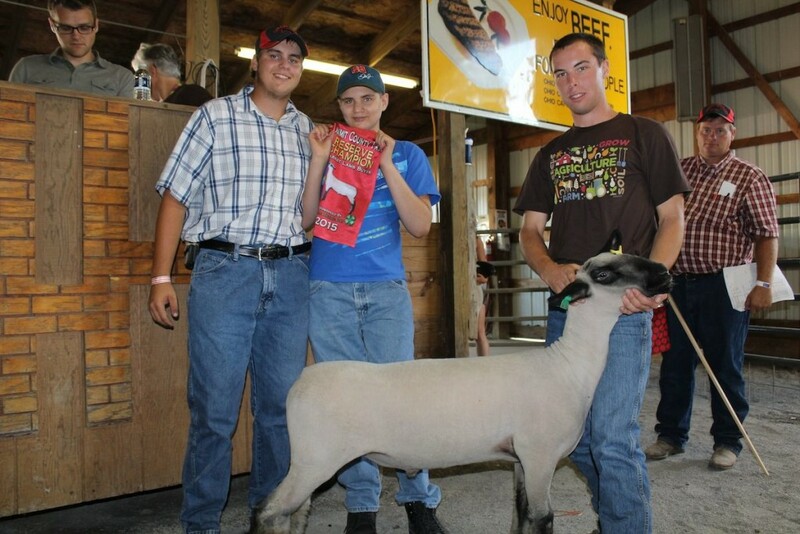 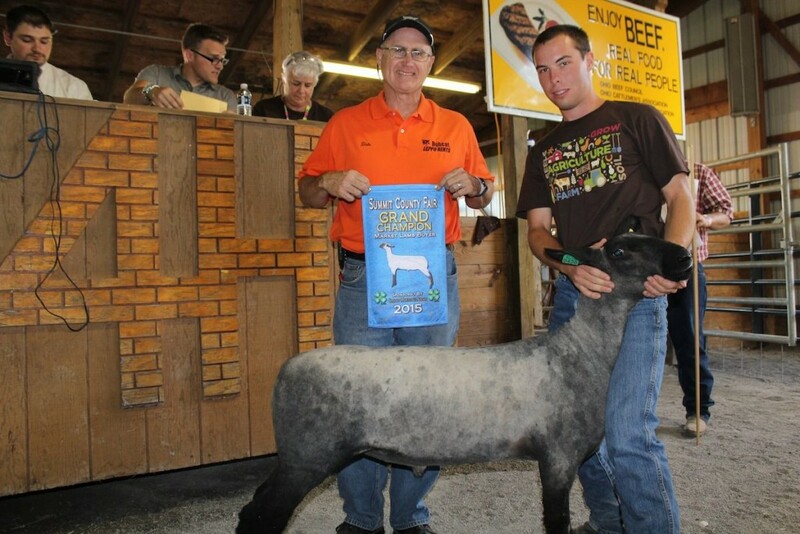 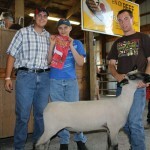 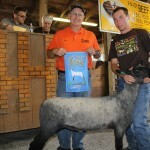 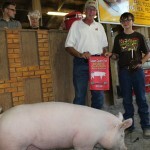 Josh Conger sold his 136-pound grand champion lamb for a record $8.50 a pound, to Dale Leppo, of Leppo Rents. 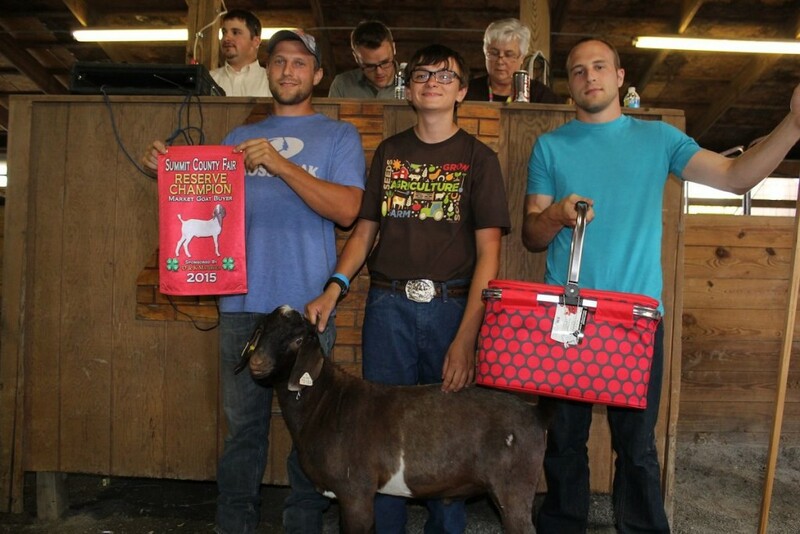 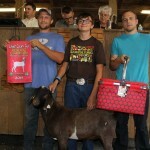 Corey Soulek sold his 82-pound reserve champion goat for $250 to John and Jason Tomayko, for Flesher’s Deadstock Removal. 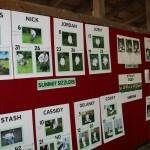 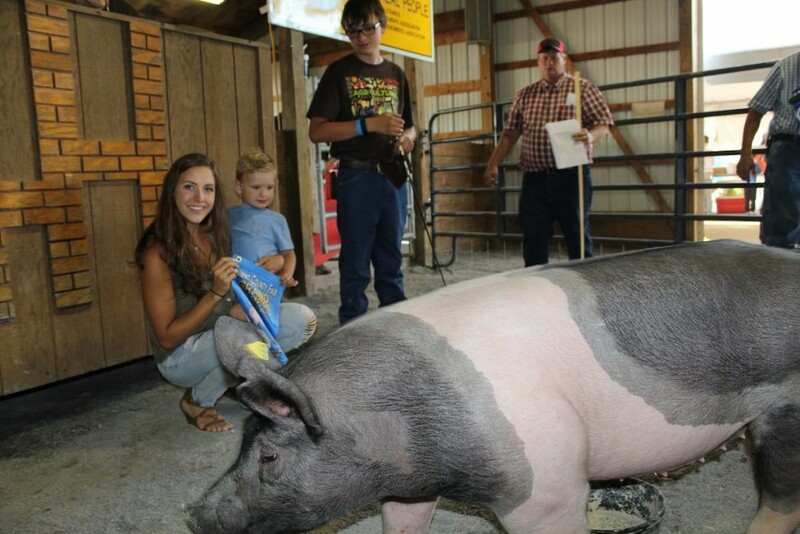 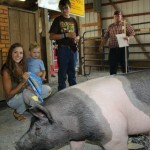 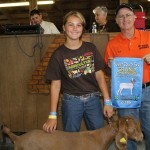 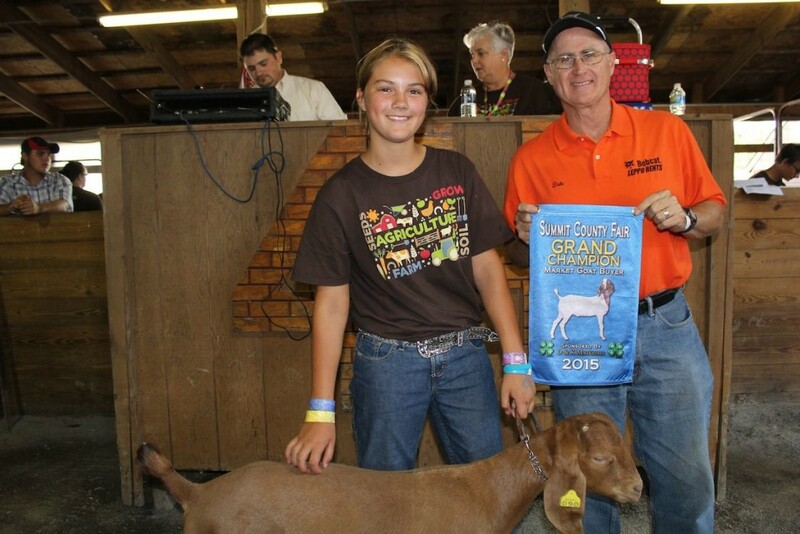 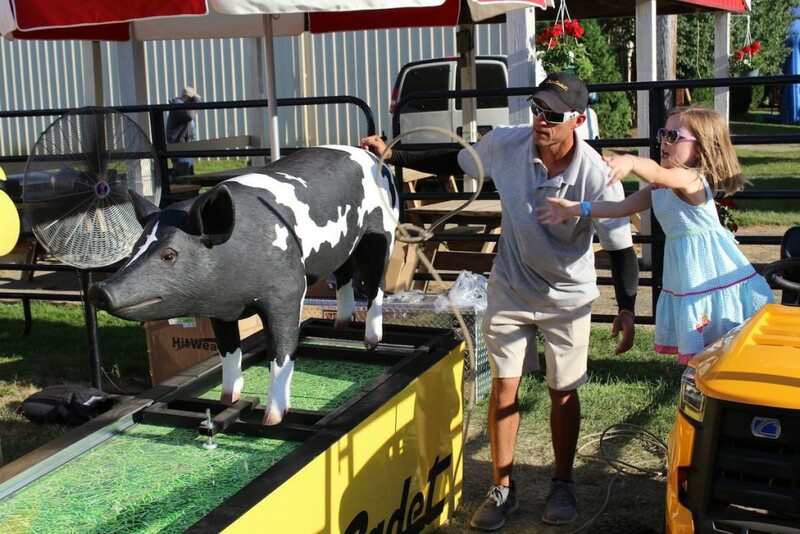 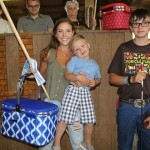 Jordan Sedensky sold her 100-pound grand champion market goat for a record $500 to Dale Leppo of Leppo Rents. 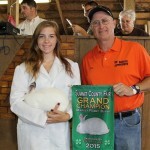 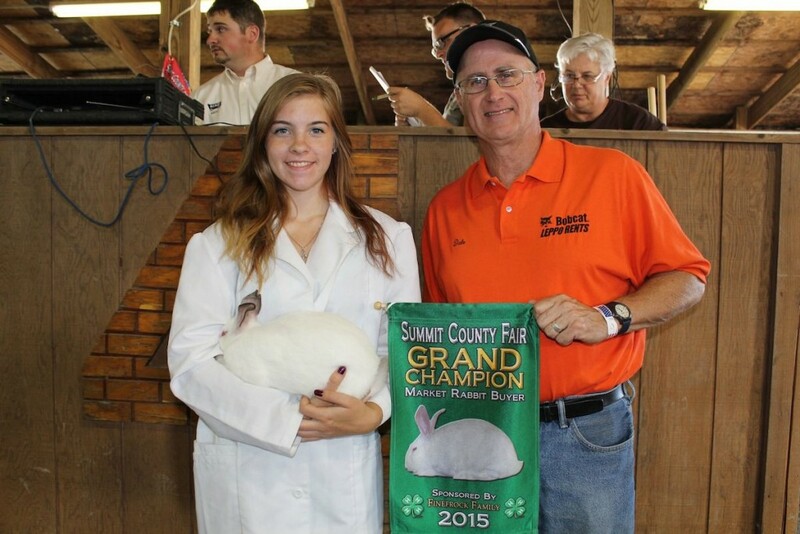 Cassidy Jordan sold her grand champion market rabbit for $500 to Dale Leppo of Leppo Rents. 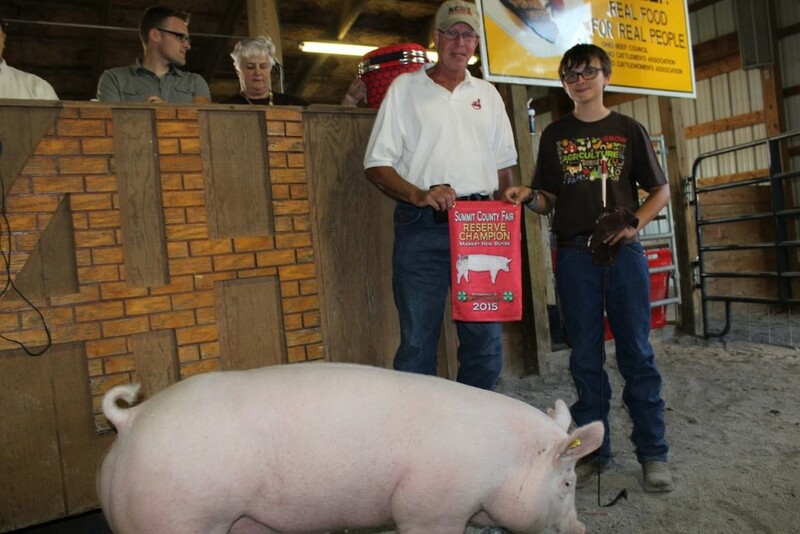 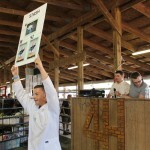 Holding a poster, in place of chicken and turkey entries.